From the front box, it can be enticing to play a big C3 towards the green to give yourself a chip at eagle. 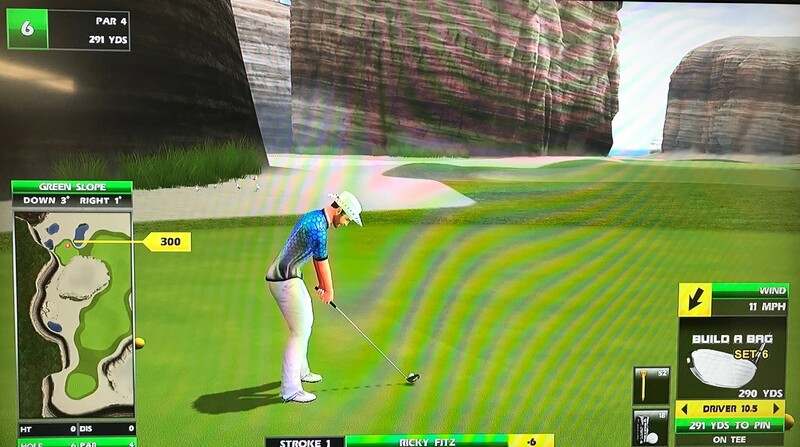 Don’t play up top of the hill to start – there’s a solid fence there that will catch your ball and make it hard to get out…not the way you want to start a round! There’s a new tee box to the front left but it’s still 450 yards away. But another new tee box is front-right from only about 400 yards away making it sometimes drivable — here’s an opening ace from there! From the front box with a strong tailwind, you can drive pretty close to the green here and have a chip at eagle. Big hitters using Streaks may occasionally make it on this green. 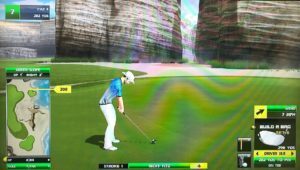 Otherwise, you’re playing to the fairway where it narrows…towards the left of this area is where you want to land your ball for a clear open approach at all times. From the fairway neck, here’s an example hole-out. 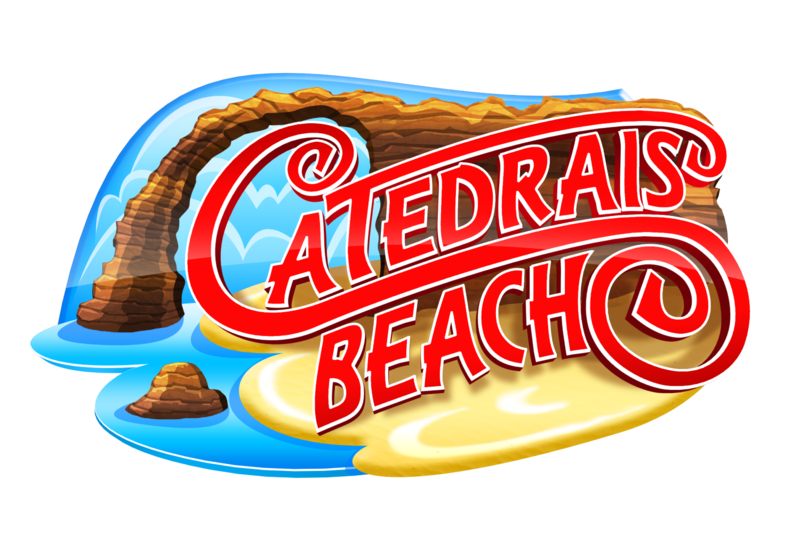 Beware the left water on the approach which can gobble up an errant approach to a left pin! One new tee box here is front-left but still 400+ yards away, making it difficult but possible to reach with certain conditions. Another new box is up right well within reach of 250 yards or so but asking you to play a difficult cut shot around the hill into the green, avoiding the water on the left. 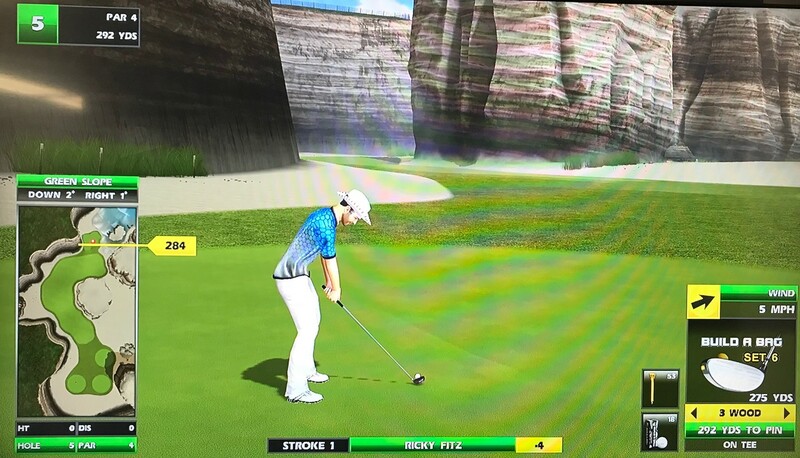 Here’s a nice high-teed 5-wood worked around the corner that finds the hole. Here’s a 3-hybrid ace from the back box. There’s a new box here to the back-right from about 260 yards. From all boxes, you can hit up on top of the hill…anything from a high-teed 10.5 driver to a more lofted wood. 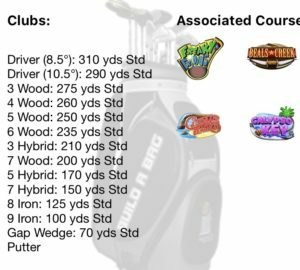 Distance off the tee helps as you may still have a driver into the green, but more important is accuracy…falling down to the left is death. Take your time and stick the center of the plateau! Here’s a driver hole-out from there! Here’s another with the 4-wood. 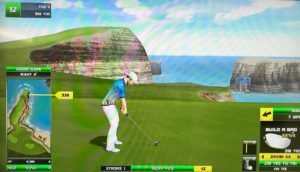 There’s a new box up left allowing you to try a driver under the arch to the left to that second fairway, or at least to the rough beyond it with a straight shot at the green. It’s still an option to play up top to the hill as before if you wish. The addition of a more elevated hump in the middle of the main hill guarding the green added some challenge here, so you might have to work around it, but the concept is still the same. From the back boxes, it’s best to high-tee a 5W or 6W and aim right at the green by carrying over the top. From the back-left box, this high 6W goes over the top right at it. From the back-center, this high 5W carries over the left edge to find the hole. Of course, curving is still an option…here’s a great 5-wood cut around the left to a front pin. From the front-right box, a high 8W can be good over the top, or perhaps a high 7W too. Sometimes here you might have to hit a 6W (medium or high) and play a curve through the gap on the right, which is the toughest setup…this medium 6W with backspin works its way through to find the cup. One new tee box here is up right behind the first hill, which almost shuts this hole down. There’s not much you can do to curve a shot through the gap from here unless you have a helping wind to the left. Laying up is a good option to at least take a birdie here. Here’s another hole where the best play is to high tee the highest lofted club you can carry to the green and blast it right over the top. It’s usually a high 5W or 6W, but tough longer setups might call for a high 4W. Here’s another option — let’s say you have a setup with a strong outwind and the pin tucked in front just over the hill. By using a high tee, it’s hard to both carry the hill and keep the ball close to the pin for your eagle putt. So, you can also bank a driver or wood off the left wall. Backspin will stay on the ball after hitting the wall and with any luck you might find yourself closer to the cup. 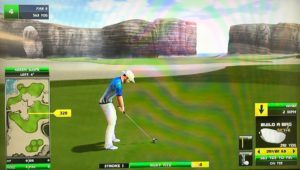 One new box here is out right behind a hill forcing you to curve a shot right-to-left into the green from about 280 yards. 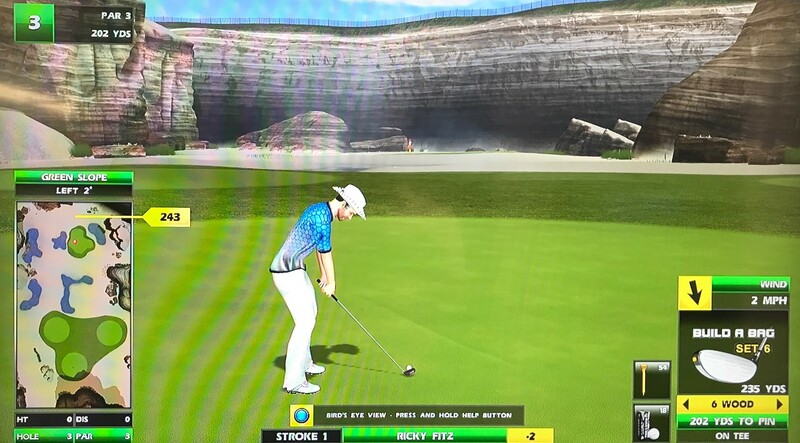 With this hole, you do need to shoot a wood through the gap with bite or backspin, and you may have to apply some curve based on the setup. 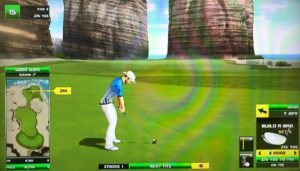 Early on you’ll notice that you may be carrying long because it’s slightly downhill, so tend to play a half-club shorter and towards the center of the green for an eagle putt. With a nice setup, this driver punched straight through to find a right pin. One new box here is way out left up on a hill where you have a downhill shot from about 330 yards into the green instead…here’s a great driver ace from there. Another new box is left of the original boxes where you play around the left side of the hill…here’s a great 3-wood curved around into the cup. This par 3 has a tee box across the water, and a couple more off to the right. From the front-right box, here’s an ace to a center pin. From the back-right box, this 5-hybrid also finds the cup. One new box is back-left a bit to an up 4 green from about 220 yards…here’s a 3-hybrid ace from there. From the center box, tee it high with a 5W or 6W and carry over at the green…this high-teed 5-wood goes right over the top for the super albatross! From the back box, you can carry a high 3W or 4W over the top as well at the green…here’s a nice high-teed 3W over the top. But, you won’t always have the distance to get there. If you’re not sure, there are two other options. 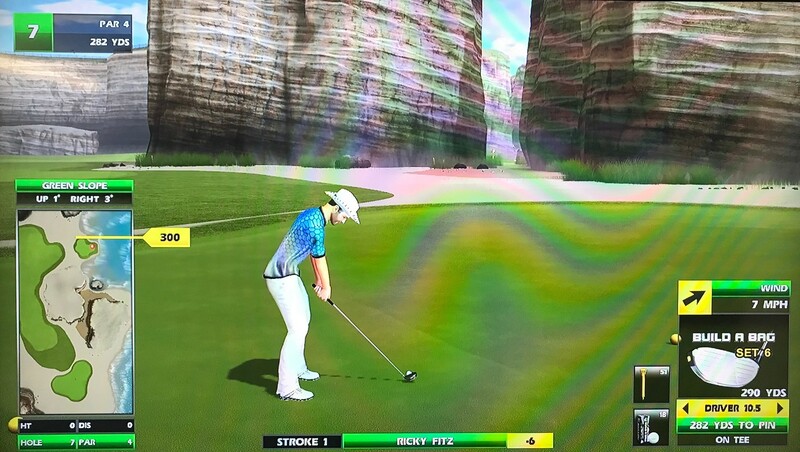 First, you can enhance your high-tee 3W distance by turning right and playing a C3 instead. Next is the challenging one – you can low-tee a driver and curve through the mounds, trying to skip off the water and up onto the green, or at least by the green for a chip. Not an easy shot, but technically this hole IS always drivable! With closer looks, you can even opt to carry the driver to the rough and bounce up – check out this amazing ace! 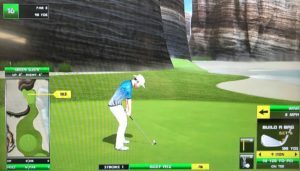 Laying up on top with a tough look is still a good play with a high wood to set up an approach into the green for eagle. One new box here is to the right from about 260 yards, allowing a high 6W over the top…trickling down onto the green from the top of the hill is also an option but not a guarantee since some parts of the top of the hill slope upward! With a pin more in the center of the green, this high 6W finds the cup! With a right-rotation, this high 5W also cuts into the hole. And with a tailwind, this high 8W easily finds a center pin. As with all tiered greens, this one plays easier with the pin on the bottom tier…here’s an example ace. Sometimes it gets trickier with a tougher wind and pin placement because there is the threat of water all around…here’s a great 7-hybrid cut into a right pin. One new box here is off to the right from about 160 yards. 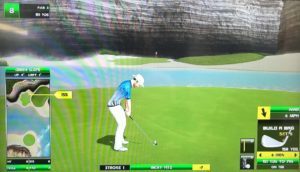 This hole is sometimes drivable with the right combo of tee box, wind and positioning…from the center box with a high tee, this driver cuts its way through for the super albatross! Here’s another from a different angle. Even if you’re not sure you can get there but think you can get close, it can be good to shoot the gap for a chip. Also, with a strong outwind, the high-teed 10.5 driver can clear the mound if you’d rather 180 right at it! 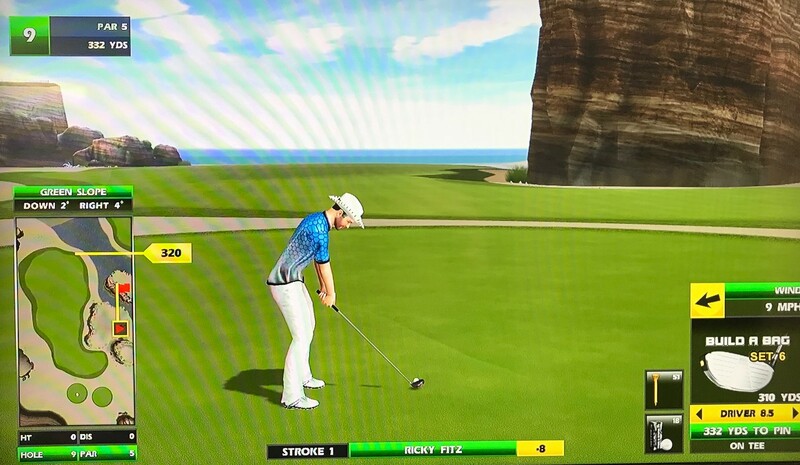 There are two decent layup spots here…usually the best one is playing a big A1 way out to the right, which often gets far enough to give a clear approach shot into the green for eagle. Sometimes you’ll have to cut into the green. Another layup spot is left, at the end of the fairway. You’ll definitely need to cut around from here, but depending on the wind and pin, coming in from this angle might be more desirable. One new box here is off to the left, taking the gap out of play to the green. From here, you can either lay up top on the hill or play out left to curve a shot around into the green. Here’s a tough hole, especially with a cross-wind, because the green is so narrow. 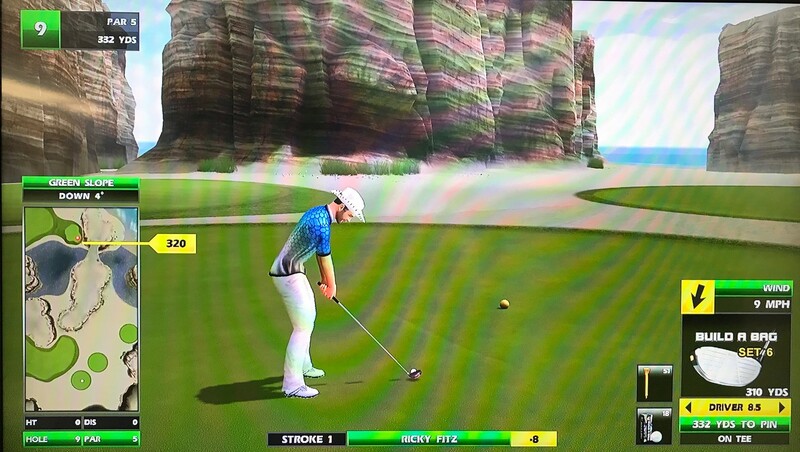 A tricky, not-so-subtle challenge here is that the green slopes right 5! Sometimes you’ll get a left pin with a strong wind blowing right and it’s almost unfair. 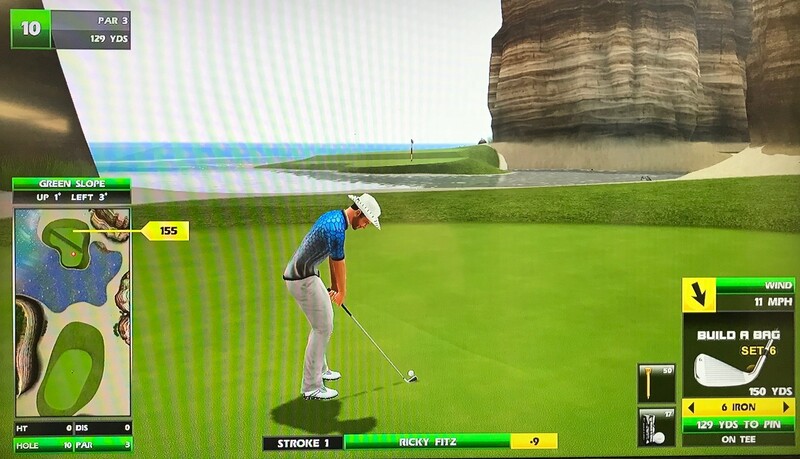 That might force you to turn right one and play a C2 cut into the green to counteract everything pushing right, but again, that’s a really tough shot because of the narrow green and the penalty of water if you miss. From the left box, if you opt to try to cut the ball into the wind instead of playing out into the wind, be aware of the rock on the top left of the hill, which can knock down a shot without enough loft. Clearing the hill is first, which is usually fine…accuracy is next to hold the narrow green, and distance is last to have a closer putt. Here’s a 5-wood that trickles down into a front pin! And this driver easily floats over to a back pin. From the right box, it’s flatter and the hill is mostly out of the way, but that doesn’t make a shot with a cross-wind much easier. This high-teed driver is thumbed to the perfect spot off the top of the hill to carry down and in! One new box is between the original two boxes from about 300 yards where you play over the hill angled into the green. 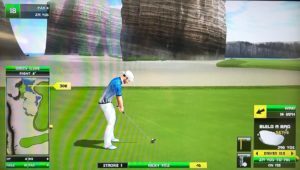 You can get some downright nasty setups here, because the wind is strong, you have to play a lofted club, and the green is tiered. It’s great to get creative with low tees and cut shots to fight that wind and practice your shot-making. From the left and back boxes, it’s a bit easier because it slopes straight down. Here’s a dunk from the back-center box to a back pin. From the right box, it’s a tougher shot because it slopes right, which is just one more variable to counteract. 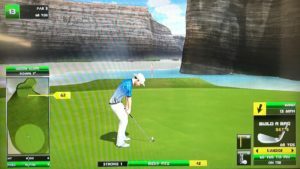 One new box here is from the other side of the water into an up 7 green from about 150 yards…here’s a 6-iron ace from there. Most times the best shot here is to blast as far as you can down the left fairway, either a B2 hammer or a curve shot. 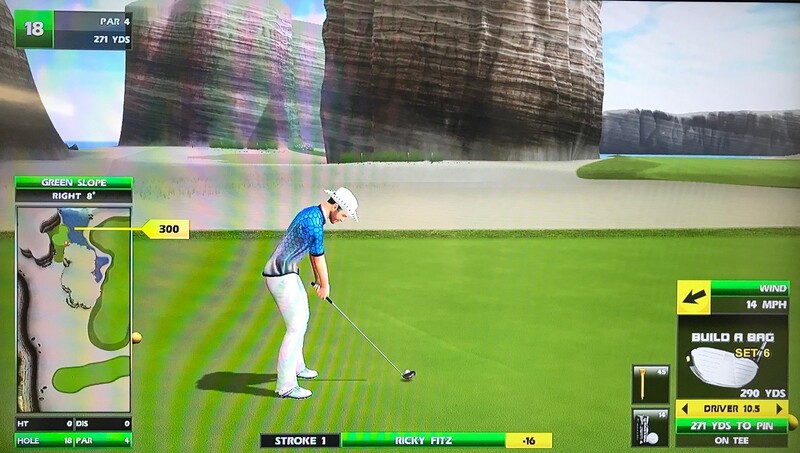 In the right conditions, you’ll carry far enough to have a clear shot at the pin. Sometimes you’ll have to play a small cut into the green still, but it’s not usually too tough for an approach. 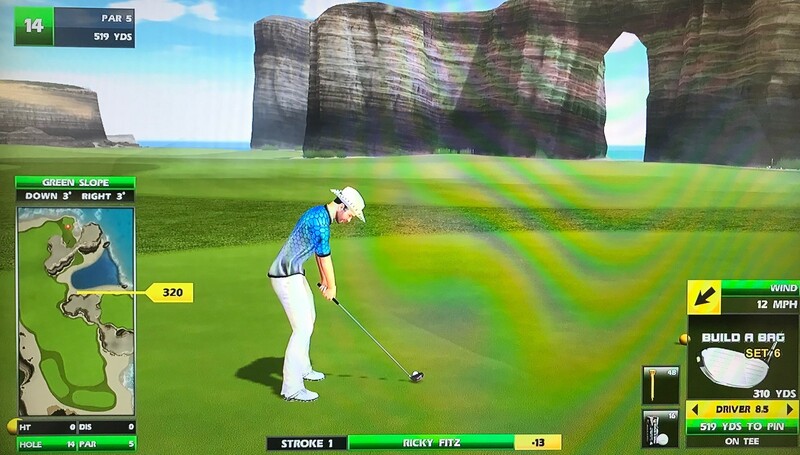 After a long drive, here’s an easy 8-iron in for the hole-out. 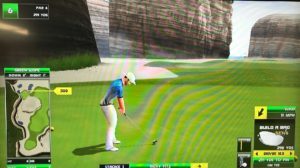 The worst conditions have you considering cutting an A1 drive under/through the arch to the right to get out to the right fairway and a chance for an approach, but that’s clearly a much more challenging shot off the tee. 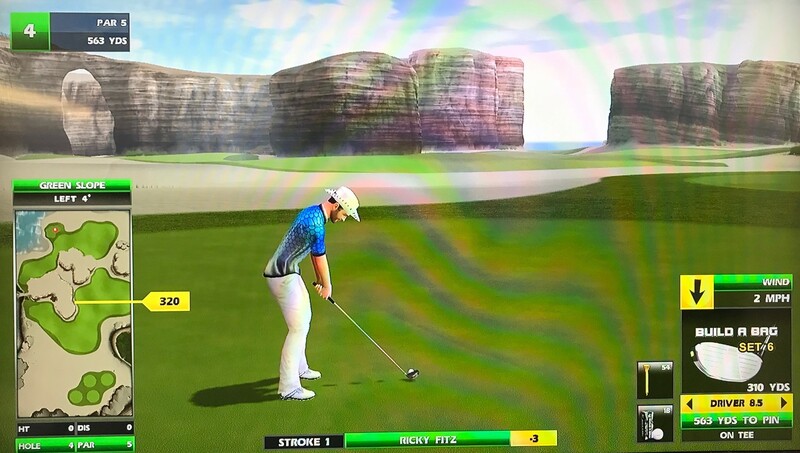 After a great drive over there, here’s a 4-wood hole-out. There’s a new tee box to the front-left that offers multiple options. 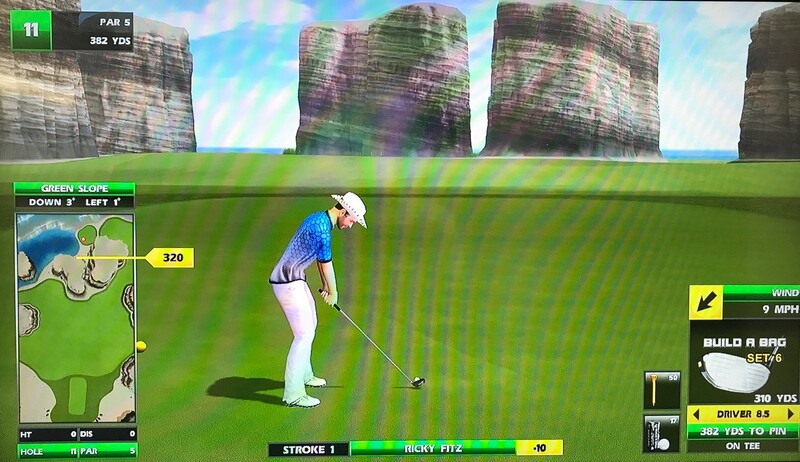 You can play straight ahead up top on the hill, but it’s not that easy to stick. 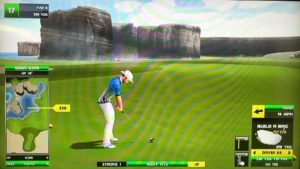 You can blast it out left in the fairway but you’ll have to curve a shot around the hill into the green. Or you can can curve a shot around right into that fairway, but you’ll have to curve another shot into the green from there as well. Even though the green slopes downhill, it’s still a nice option to high-tee a wood and go straight at the green, compensating for distance. This is usually still easier than trying to curve left or right around the hill into the green. Here’s a high-teed 5W that finds a back-left pin. Something else to keep in mind with a tailwind is that a medium-teed 6-wood will still carry over the top from about 280, where you can take advantage of backspin to hold near a front pin. Longer setups may call for you to cut a driver through the gap on the left, which is not easy. Or perhaps the setup calls for it, like this nice 3-wood around the side with backspin into a front pin. One new box is front-right from about 235 where you curve a high-teed 7/8W around/over the hill into the green. 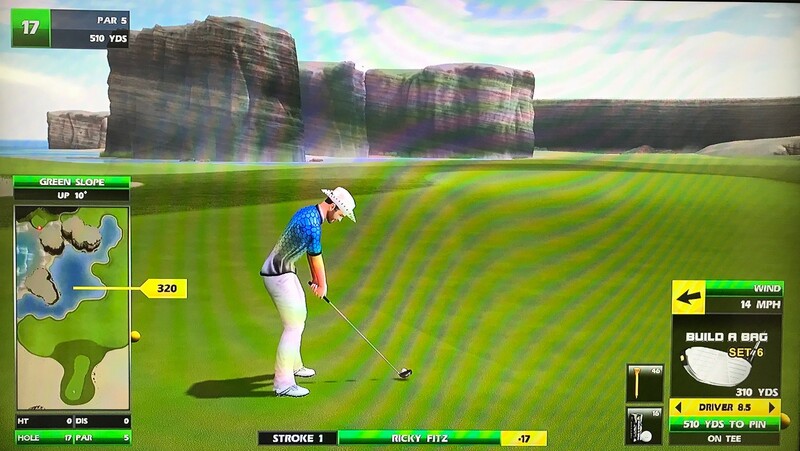 You’ll get a lot of practice shaping shots here, as most setups call for you to curve around the hill into the green. 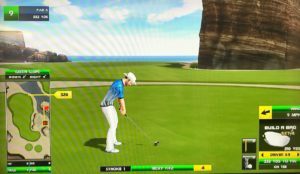 This can either be a small cut, most often with the wind NOT blowing right, or a larger cut where you rotate to the right and play more of a C2-type shot into the green. With larger cuts, remember to club down a half-club…bite is usually a good option to try to settle into back pins. Pinball is an option back there too if you’re slightly long. From the front-left box, this 8-iron finds a back pin. From the right-center box, here’s a 5-iron ace to the lower tier. And you could have taken this 7-iron lined up at the pin and played out slightly right…luckily the pinball action turned a bad shot into an ace! From the back box, here’s a 6-wood that shows that if you tuck it back there and let it bounce around, good things can happen! A 3-hybrid is a great club to have from this box too to keep it low and cut it in. One new tee box is on the other side into a left 5 slope but way downhill from the top of a plateau. With a tough wind this can be a really difficult shot. 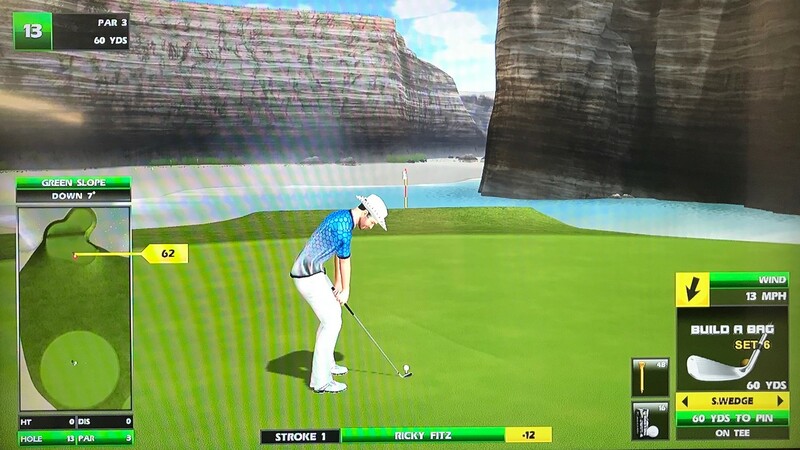 Another is back-right of the original boxes on a new island in the water…here’s a 6-wood ace from there. 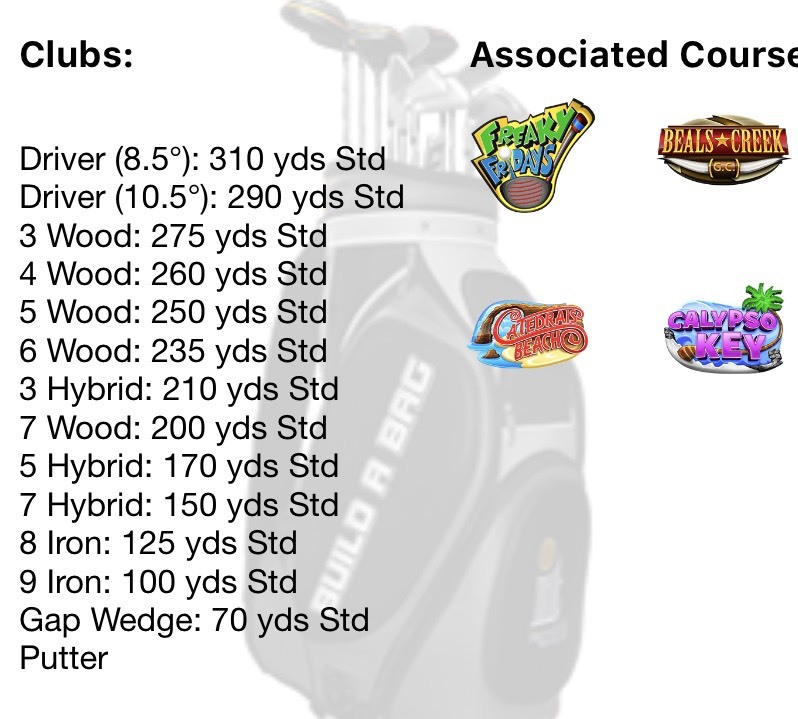 It can be tough with some setups, but a high-teed 10.5 driver hit well can still carry up onto the plateau to the left. Going up top, as usual, gives you the advantage of a straight shot down into the green. Distance is important too, since it can be tough to get an approach driver to the green with a headwind. As usual, long and straight up on the hill is key to give you a good chance! 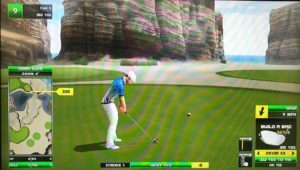 To give you a guide to cross-winds, a 13 wind with a 6-wood calls for one click over, and a 15 wind with a 4-wood also calls for one click over. From the top of that hill, this 3-wood fights the wind to find a front pin. Another option is left to the sand, but you do have to be as close to the green as you can get to have enough club for your approach shot. 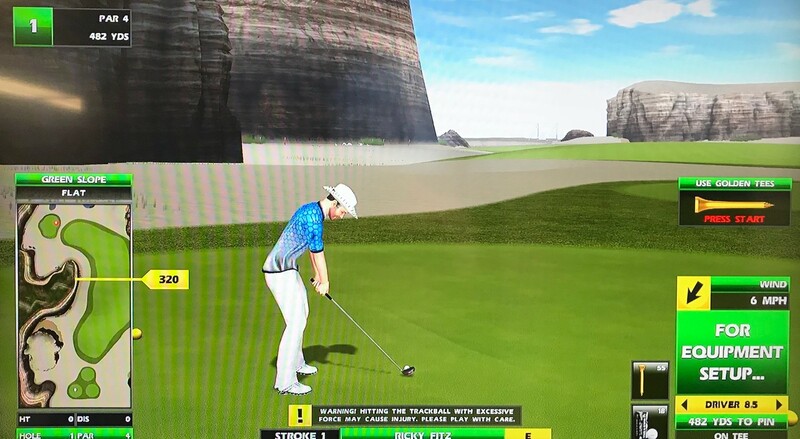 Going left to the end of that fairway is also an option for you to bring in a driver from there. There’s another tee box you get about 5% of the time right now out to the right, and from here you just blast up the main right fairway. From there it’s either a straight shot or wrapping a C3ish approach around the hill into the green, which is tough because it slopes 10 towards the water. Here’s a 3-wood hole-out from there. One new tee box is to the right, where you should play up the right fairway and hope for a mostly straight approach into the green from there. Some setups here can be really tough, because you can face distance challenges as well as finding the right cut. You’ll be coming in left-to-right usually, so angle is important. A common mistake I’ve seen early is to come up short, and then compound the issue by using bite or backspin, which pulls your ball into the water. 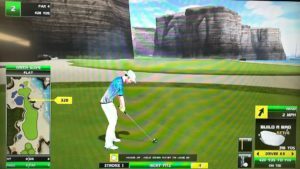 I like to float a shot into the green with no spin since it will already be veering right anyway…then you can focus on distance and the right curve…a high tee makes this easier to pull off. From the left side of the box, here’s an easy driver punched fairly straight through that finds the hole. From the center of the box, here’s a smooth 4W curved around to finish with the ace! 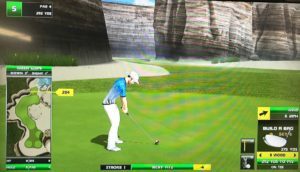 With the wind blowing left, you can get away with certain deflections as the wind will keep it on the green, or even in the hole! From the right side of the box, this hole is nasty. You may consider trying to skip a low-teed driver around the right side with backspin as an option to reach the green. The 290 driver or 3W teed low will both skip with enough curve. Otherwise you might lay up in the right fairway and try to just salvage a birdie. Given that the right side asks you to carry water and there’s trouble all around, it’s still usually best from the right side of the box still to play the left gap, albeit with more of a cut. Here’s a great 4-wood that curls around to a back pin. One new tee box is an elevated approach from the right from about 270 yards where you just need distance control to float the ball into the green. Here’s a 5-wood floated into the cup. And with a tough wind, here’s a cut shot that finds a right pin. Another new box off to the right makes you cut the ball around the right into the green, sometimes considering a bank shot to stick it. A third new box is just in front of the original left box…check out this high 6W that floats down off the rough into a right pin.